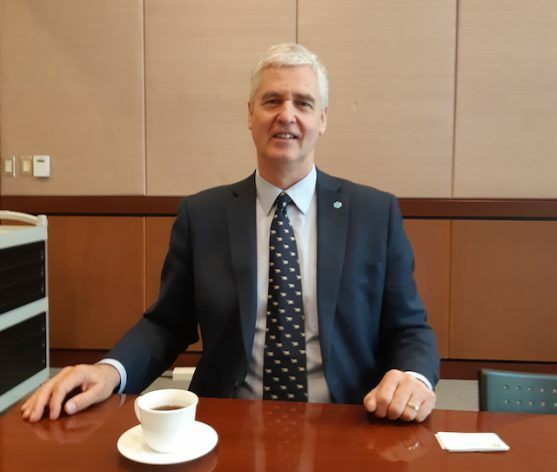 MANILA, May 14 2018 (IPS) - IPS caught up with Dr. Frank Rijsberman, director-general of the Global Green Growth Institute (GGGI), at the end of the flagship side event of the GGGI during the 51st Annual Meeting of the Asian Development Bank (ADB) in Manila on May 4, 2018, which featured the Belt and Road Initiative (BRI) and its potential to create sustainable infrastructure and promote green growth pathways. In this brief chat with IPS correspondent Diana Mendoza, Dr. Rijsberman noted the success of just a few countries with successful environmental protection policies, while many others have yet to adopt green growth policies. Q: China is obviously the major player in the BRI. How does GGGI see China influencing other countries to actively take part in it and adopt green growth policies? A: China is a huge investor. Among the countries in the BRI, China is the most important foreign direct investor, if not one of the most important. What we are particularly interested from our GGGI perspective is that China has also become, out of necessity, an important source of green technology because it implements renewable energy policies at a large scale. It is but fitting for it to have initiated the BRI. It is a leader in electric mobility, green technology and policy. It is keen on its air quality around Beijing and has very rapidly cleaned it up in just the last two years. What we’re interested in also is not just having large direct investments as part of their BRI initiative but how it will influence its government to export green technology. Q: On one hand, China has also upset its Asian neighbors, particularly in the Association of Southeast Asian Nations (ASEAN), that claim China is exploring their islands and upsetting territorial boundaries. A: I know basically nothing about territorial disputes but it’s clear that China is a world power, a dominant force. It is very influential and we are hoping it will use this to bring opportunities for other countries to prosper. We’ve been seeing China for decades as having relations with countries in bringing resources such as Afghan steel or mineral resources to which China is a huge importer. That’s basically the first relationship we’re seeing in a bilateral way. It is also starting its ODA ministry to bring more support to developing countries and is willing share more environmental technology and hopefully, to also share the benefits of the equal civilization approach. Q: What would the equal civilization approach mean to countries around the BRI? A: There are small and relatively poor countries along the Maritime Silk Road. Growth and development should also benefit them. The impact of climate change and the unhealthy effects of modernization and urbanization affect all countries, but green development has to be equal for all. Q: What are GGGI’s priorities in the next five years? A: We would like to see countries adopting renewable energy policies. Many countries are not introducing renewable energy to the potential that they have. Many countries also have some policies but we see they only have something like 1 percent solar, where it could be 20 or 30 percent. Only in China do we see a very rapid transition to renewable energy and electricity generation. But I live in Korea and they only have 2 percent. The government recently increased the target for renewable energy to 20 percent, but you know even 20 percent is still modest. Q: How much is the ideal target for renewable energy? A: It should be 50 or 60 percent if we want to achieve what was agreed upon in the Paris Agreement. Vietnam is still planning to build 24 more coal fire-powered plants. The current paths that many governments are on are still very far away from achieving the Paris Agreement. We need to see a rapid switch to renewable energy and we think it’s much more feasible than governments are aware of. Prices have come down so quickly that you know I’ve been spending most of my week in the Philippines and the provincial governments are still talking about hydropower because that’s what they know. You go to Mindanao and they’re talking about this big project in 1953 and they know that renewable energy is hydro. Q: So hydro is not the answer? A: We told them that if they want more hydro they should realize there are much better opportunities now in solar energy. Even if the potential in hydro is there, it’s complex. It takes a long time and it has a big environmental risks. It takes five years to put it in place and construction is complicated. You can have solar in six months if you have enough land. In Manila, every school, factory and shopping mall should have solar rooftops already. In Canberra, even if the central government was not all active in this movement, it adopted in 2016 the 100 percent renewable policy by 2020. It is doing just that and it looks good. Q: What can you say about tiny efforts to protect the environment such as opting for paper bags instead of plastic bags? A: A plastic bag should no longer be available. We should absolutely stop using all those disposable plastic bags. We should all look at the major impact that plastics cause, that micro-plastics go into the sea and the fish eat them. It goes back to our body when we eat the fish. It goes right back in the body. Q: So which counties have totally eradicated plastic? A: Rwanda — they said no more plastic bags. There will be many more countries that will do that. They will say you don’t have to pay for plastic bags if you didn’t bring your eco bag or there’s no available paper bag. If there is plastic, it has to be biodegradable. The cheap plastic in the supermarket lasts forever. It looks biodegradable if you leave it in the sun, but it’s more dangerous when it is thrown into the sea. But either way, there should be no more plastic bags anywhere. Q: You live in Seoul and you mentioned about your child not going to an event because of bad air. How do you think kids understand environmental issues? A: The school nurse checks the air quality and informs us in the morning. My wife also does that. Our nine-year-old is totally aware of that. Even if it’s not too bad, the kids go to school wearing masks. The kids’ experiences on a daily basis will help them understand the need for clean, quality air. This way, they will learn about the rest of the environment concerns as they grow up.